Bantam (or Banty) is a poultry term used to describe a small variety of chicken. A bantam is not a breed, but rather refers to size. Bantams are usually one fourth to one fifth the size of a standard chicken breed, and their eggs are likewise smaller. 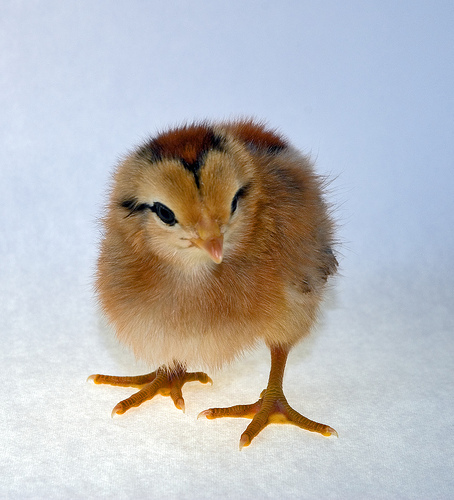 Many standard chicken breeds have a bantam counterpart, sometimes called “miniatures”. A “true bantam” has no standard-breed (large) counterpart.